When the body temperature leads to an elevation over 100 °F (37.8 °C) then it is known as Fever. Basically, the symptom is something that usually the patient reports and experiences. · Experience the feeling of cold when nobody else does. · Start shivering in the body. · Lack of appetite (Anorexia). · While concentrating different problems occur. Take a wash cloth and soak that cloth in a bowl full of cool tap water, wring out the excess amount of water and then start sponging areas like your armpits, hands, feet, and groin in order to lessen the temperature. 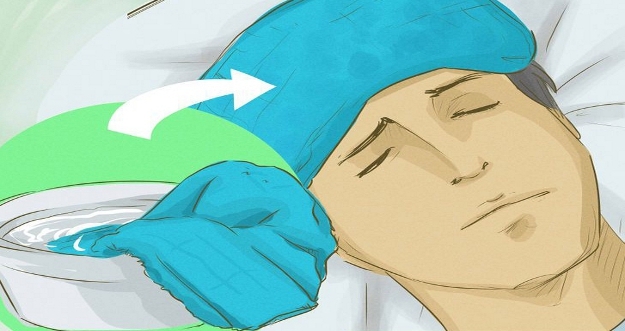 Even in the case of high fever, you can even place cold and damp washcloths on your forehead and over the back of your neck. After the regular time period, the cloth pieces should be changed after every few minutes. This remedy is beneficial in the case of high fever as it maintains the body temperature under control. You can even take a bath in Luke warm water in order to relax the body the body fight the illness. Note: Avoid the use of very cold water as it may lead to an instant increase in the internal body. 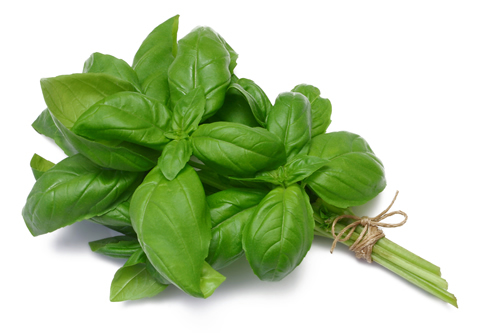 The most effective herb for reducing the fever is Basil. It is just as effective as antibiotics available in the market. It contains many healing properties that will help in reducing the fever very quickly. • Take 20 basil leaves along with one teaspoon of crushed ginger and one cup of water, and start boiling the solution together and continues till the solution gets reduced to its half original quantity. After this add a little spoon of honey and consume this tea two or three times a day for at least three days. • You can also prepare tea by mixing one small spoon of basil along with one-fourth teaspoon of pepper and mix these two in one cup of boiling water. Covered the solution for at least five minutes, and then strain and intake that tea. Drink that solution two or three times daily in a day until you recover completely. The use of apple cider vinegar is another very inexpensive and highly effective home remedy for a fever. It helps in instant lowering of fever because of the acid that is present in it which helps to extract the heat out of the skin. Additional to that, it is rich in minerals content which helps in replenishing the minerals that get removed from the body due to fever. • Take one-half cup of vinegar and add that to the lukewarm bath water. After that your body should be soaked in this water for 5 to 10 minutes. Around 20 minutes you will definitely notice an improvement in your health. Repeat this procedure again when the body temperature again gets an increase. • Put a washcloth in a mixture of one part apple cider vinegar along with two parts of cool water and soak that solution nicely in that cloth. After that extract out the excess solution and place that cloth over your forehead and tummy area. For instant relief, you can even wrap that soaked cloth around the soles of your feet. Once that washcloth starts taking your body heat and becomes warm, exchange it with a new one dipped in the cool mixture. Repeat the process as often as required until the fever has reduced. • Mix two small spoons of apple cider vinegar along with one tablespoon of honey in one glass of water. Consume that solution two or three times a day. Garlic has a warm nature which is helpful in the case of lowering the high fever by increasing sweating. It also helps in eliminating the harmful toxins substance from the body and speed the recovery rate. Additional to that, garlic includes an anti-fungal and antibacterial agent which helps the body to fight against the infections along with the ward off disease. • Mince one garlic clove and mix that to one cup of hot water. After that Steep the solution for around 10 minutes, strain and consume that mixture slowly. Consume that twice a day and you soon you will feel much better. • Take two tablespoons of olive oil and in that add two crushed garlic cloves and heat that solution. over the sole of each foot, apply this mixture leaving a few spots uncovered. Put that mixture in a wrap over your feet with gauze in order to keep the garlic at the right place and leave it for overnight. In some cases of people, the fever can even get eliminate in just one night. Note: Garlic remedies should not be followed in the case of pregnant ladies and small children. Intake of Raisins will help the body in fighting against the infections and instant reducing of the fevers. Raisins contain a huge amount of phenolic phytonutrients, which are generally known to have all the antibacterial and antioxidant properties. Even it act as tonic for your body when you are suffering from fever. Take a bowl and soak 25 raisins in a one-half cup of water for at least one hour till it becomes soft. Pour the crust and soaked raisins in the water and extract the liquid from it. Add the half lime juice to the solution. Consume these raisins twice in a day till the time your fever is completely gone. The mint has a cooling property that will help you to keep the internal system of your body cool and this, in turn, will lessen the body temperature. It is beneficial in order to extract excess heat from the body. • Put one spoon of crushed mint leaves into 1 cup of hot water then allow it to steep for at least 10 minutes, after that strain that solution and add some honey to it. Consuming this soothing mixture 3 or four 4 daily for a quick recovery. The egg whites are helpful in the case of fever in order to reduce high body temperature. Egg white is just like a gel that can easily absorb heat. Inside half an hour, the egg white will extract all the heat of your body which in turn reduce your fever from the head to the feet. Take two or three eggs and break it after that separate the yolk part from it. Then start beating the egg white for a minute. Put a paper towel or use a thin handkerchief and soak that in the egg white. Now place the soaked cloth over your soles of the feet and wear socks in order to keep the egg white-soaked packed inside the cloth in place. When the clothes get dry out completely and become warm, replace them with new ones. Keep repeating the process until the fever is reduced to a normal level. Turmeric is one of the most powerful home remedies for a fever. Curcumin which is a chemical compound present in turmeric contains potent antiviral, antibacterial, antifungal and antioxidant properties. As a result of this, it helps the immune system in fighting any kind of infection. It results in fewer complications and even reduces the duration of the fever. Take a one-half small spoon of turmeric along with one-fourth teaspoon of black pepper powder and mix these two in one cup of hot milk.Drink this solution twice in a day to get completely rid of fever symptoms. Sandalwood is having all the therapeutic and cooling properties which are helpful in the case of fever in order to lower of fever and inflammation. In fact, sandalwood will make your entire body and mind cool and calm. Take a one-half small spoon of sandalwood powder and add to it a little amount of water to create a thick paste of it. Apply that thick coat of paste over your forehead. Repeat this process several times a day until you get relief. • Avoid drinking lots of water and intake orange juice in order to prevent the dehydration. • Don't put cold water or ice over your body. • Complete bed rest should be taken for at least one or two days. • Intake of the huge amount of green leafy vegetables should be maintained. • Avoid consuming the refrigerated foods. • Stay away from smoking as well as consuming alcoholic drinks. These days people mostly rely on natural treatment for better health. In that case, you should go for natural treatments like Homeopathic Treatment. It is a bit slow treatment but it will cure all your diseases from the root without any side effects.